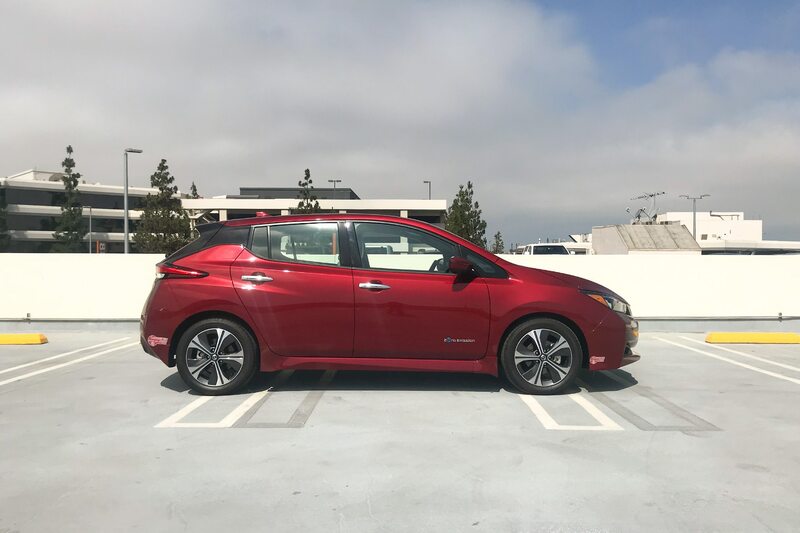 EL SEGUNDO, California — If you haven’t been in an all-electric or plug-in hybrid vehicle lately (or more than likely ever given the low adoption rate), you owe it to yourself to take one for a test drive. 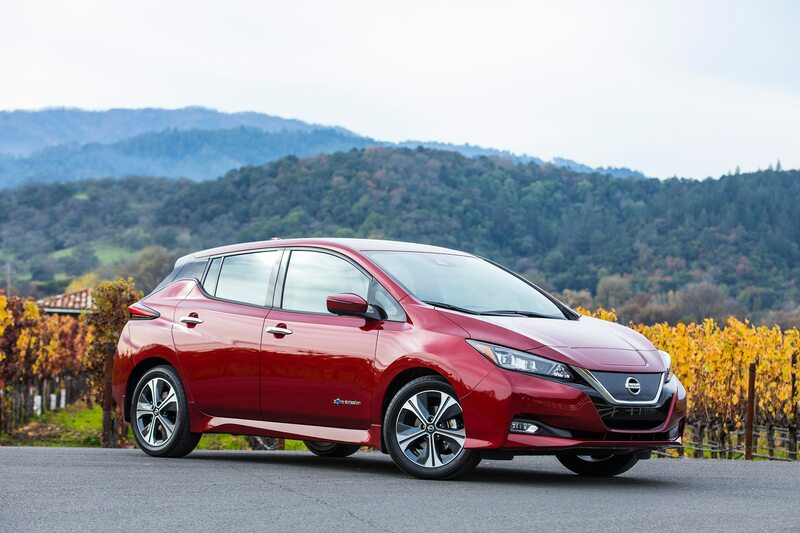 While most of the offerings on the market still force buyers to make compromises, all-electric powered models like the new 2018 Nissan Leaf are in some ways becoming better commuter cars than their conventionally powered brethren. 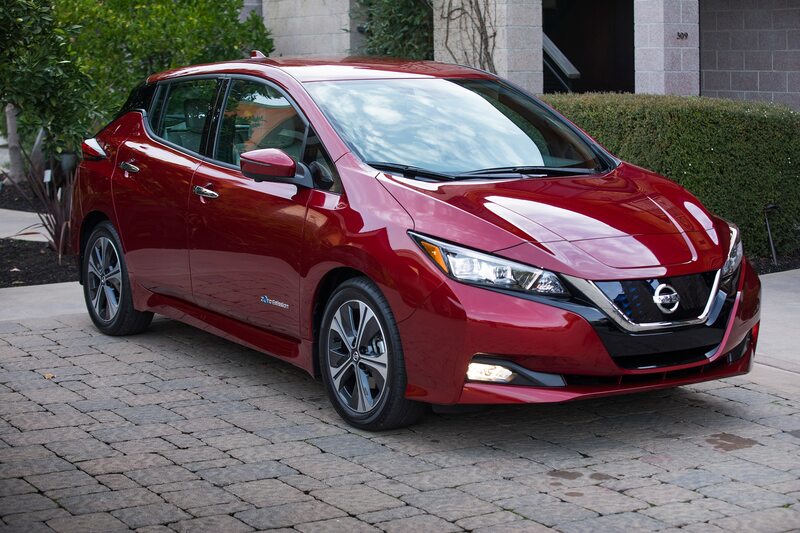 The second-generation Leaf is a considerable improvement over its predecessor, looking less bulbous on the outside and more conventional on the inside, though the HVAC controls and shifter retain their quirky shapes. 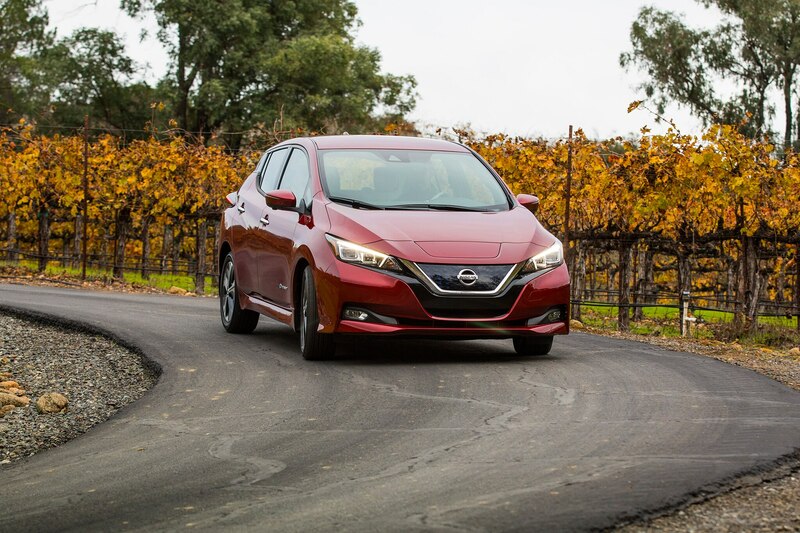 Underneath, a 147-hp electric motor now drives the front wheels (up 40 hp on the previous version), with torque increasing from 187 lb-ft to 236 lb-ft. That’s enough to get the Leaf to 60 mph in 7.5 seconds, a level of performance comparable to much of the conventional compact car segment. 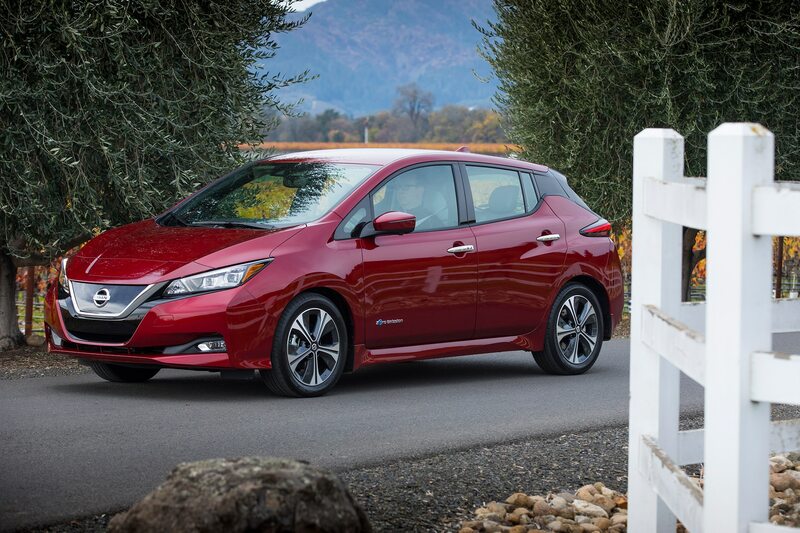 With tax credits, the 2018 Leaf gets close the cost of an average compact, too. 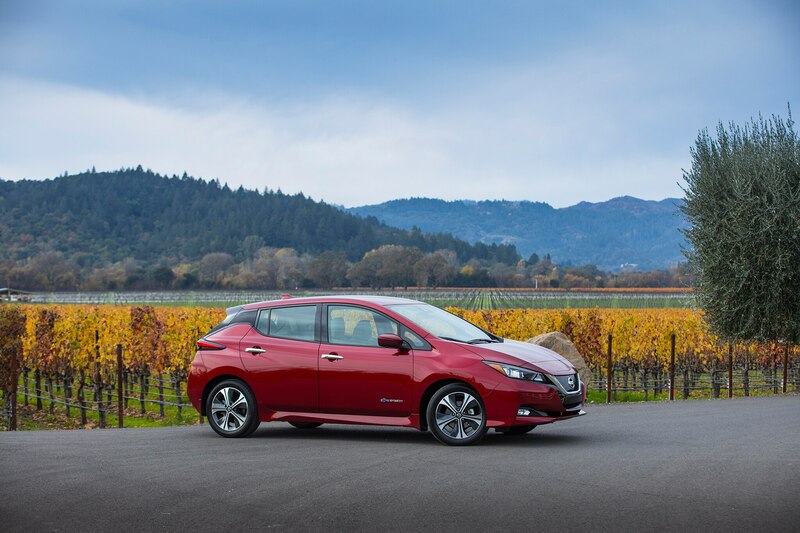 In California, where the Leaf is eligible for a $2,500 state tax credit along with the $7,500 federal one, its $30,875 base price drops it to close to the level of a comparably equipped Sentra sedan (with which the Leaf also shares its 106.3-inch wheelbase and beam-axle rear suspension). 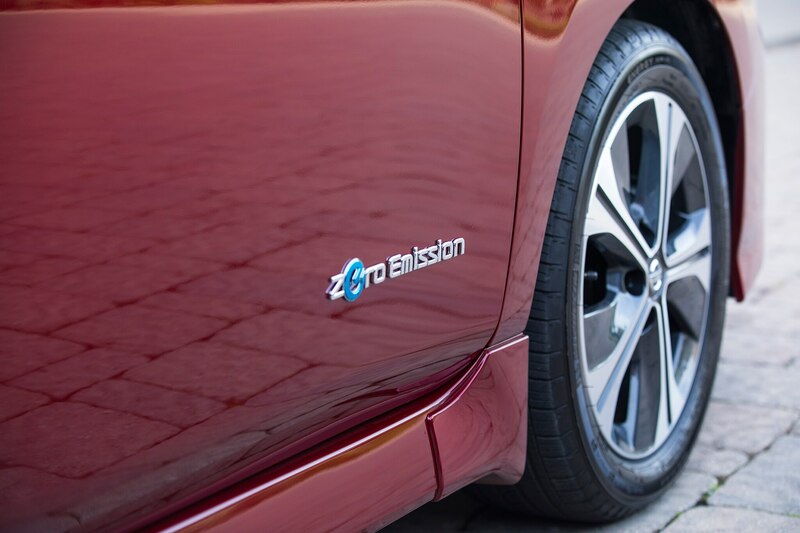 Also on the plus side of the Leaf’s ledger is its smooth electric motor, which delivers power in a much more satisfying way. 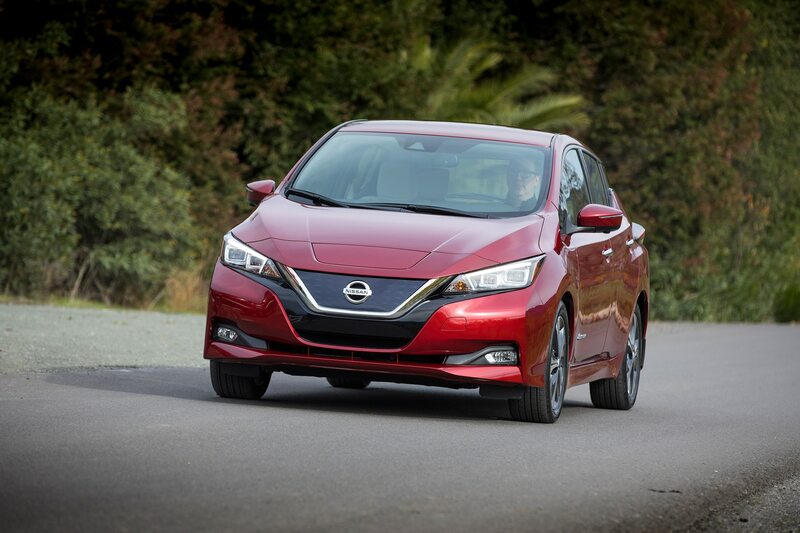 You’re treated to a fast-sounding electric whirr as the pedal gets buried deeper into the floor as opposed to the raspy howl of the Sentra’s less powerful, 1.8-liter four-banger/CVT combo. 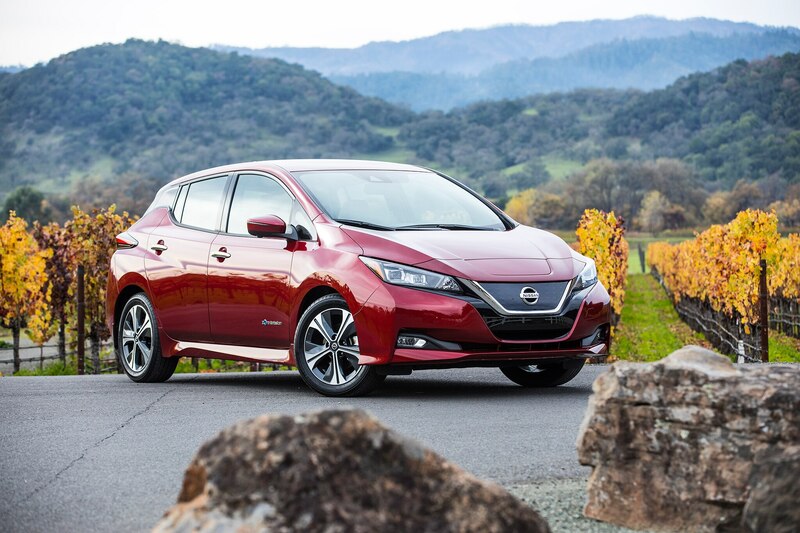 Indeed, by virtue of its absence of engine noise and accompanying vibration, the Leaf is a more comfortable place to be than the average compact. 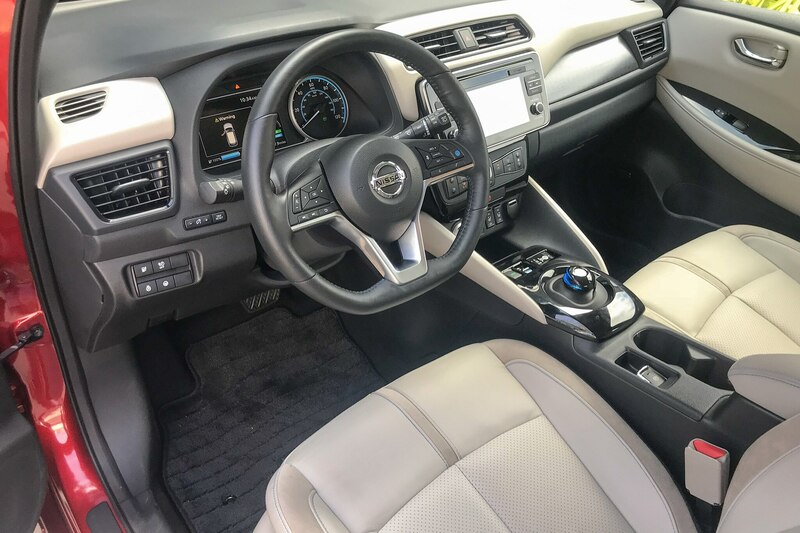 The oddly serene and quiet cabin is a quality common to all EVs on the market as well as PHEVs while they’re in electric-only mode. You’ll learn to love it quickly. 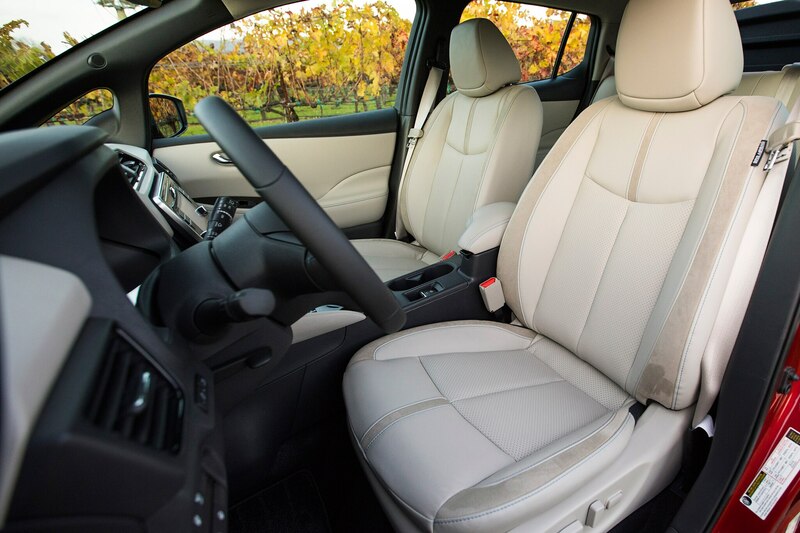 Much like wearing noise-cancelling headphones while flying, the elimination of background annoyances makes for a significantly less-stressful experience—especially when the experience in question is an hour-long freeway commute in Southern California. That serenity is often interrupted though over bumpy roads, as seemingly every imperfection is transmitted through the wheels and into the cabin. Fortunately not too much makes its way up the steering column (which tilts, but doesn’t telescope), but the downside is that feedback from the wheel is limited as well. Both pedals feel mushy, too. 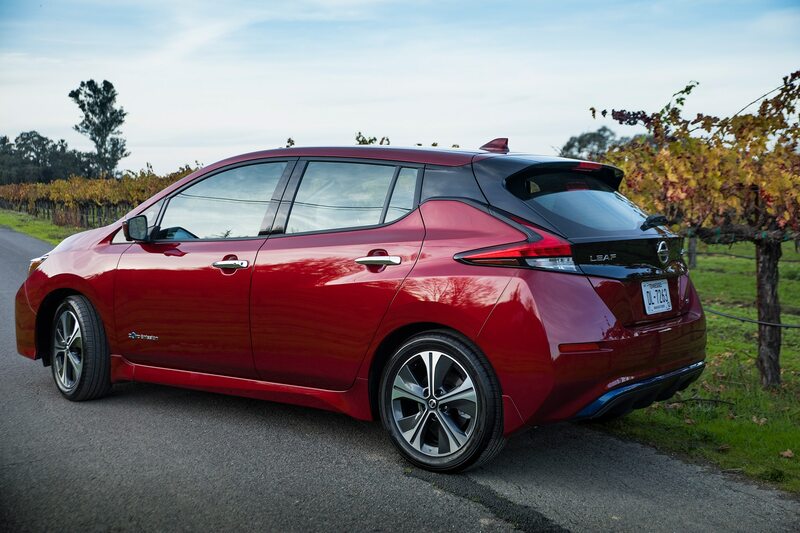 So no, the Leaf isn’t exactly a blast to drive, but that’s to be expected given its economy car roots and mission. 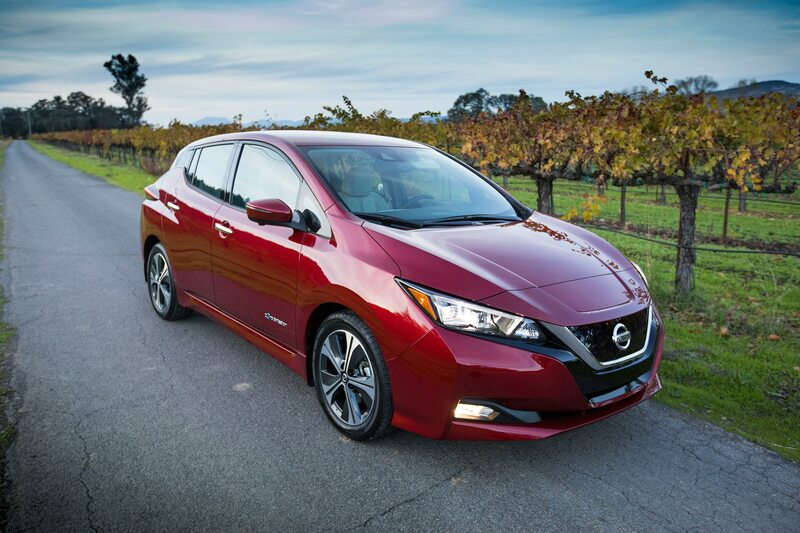 Though its overall ergonomics are reasonable for a basic commuter, the Leaf’s packaging isn’t great in the back. 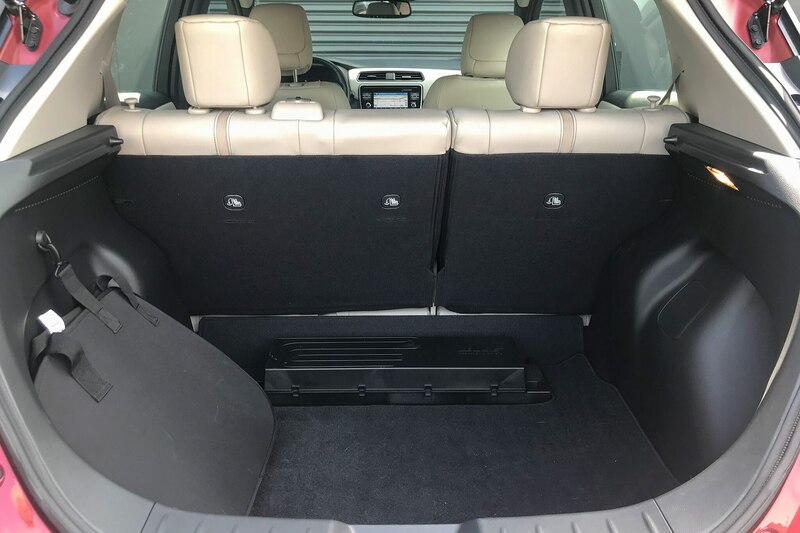 The rear seats don’t create a flat floor when folded and the hardware for the Bose audio system takes up a considerable amount of real estate in the cargo area. 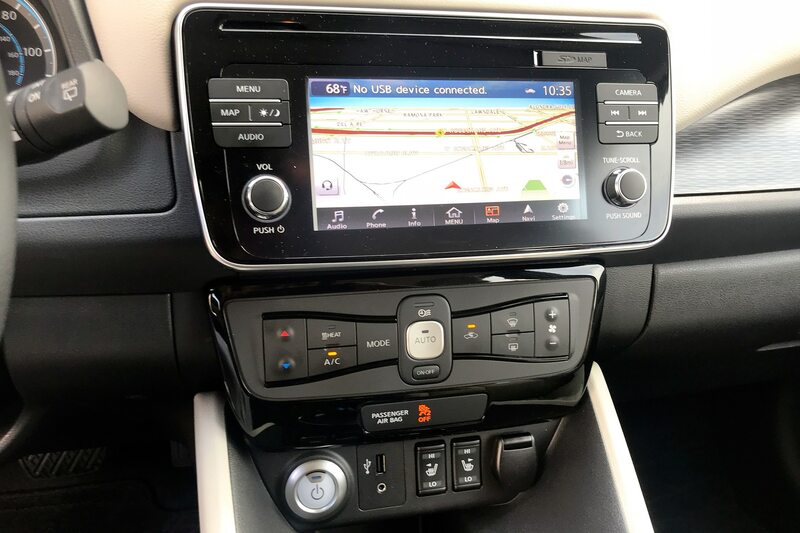 Some connectivity tech is lacking as well—no Apple CarPlay or Android Auto here. 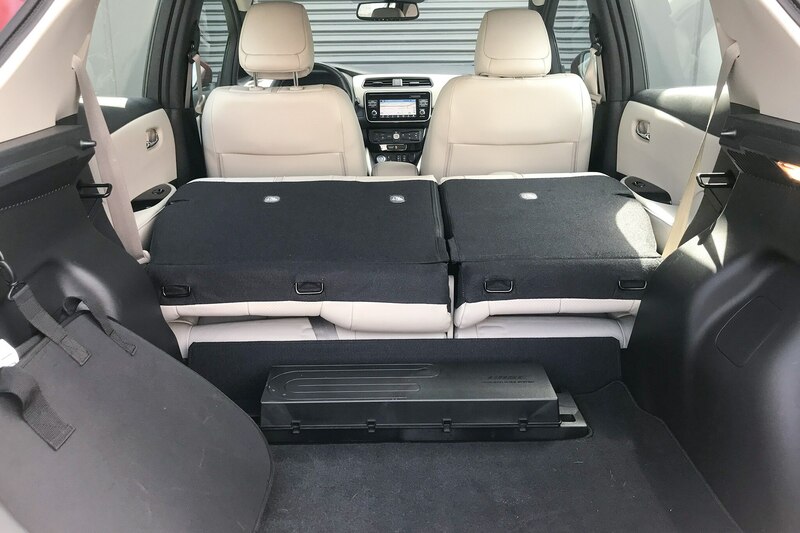 But there is Bluetooth of course and the entertainment system will happily stream Spotify via a USB cable on the iPod setting. 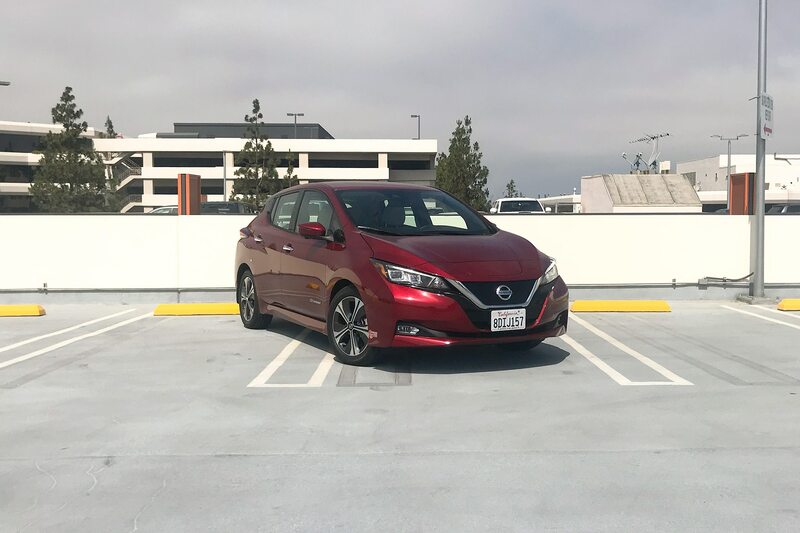 Our Leaf SL tester was equipped with the optional SL Technology Package, which adds Nissan’s ProPilot Assist along with automatic emergency braking, automatic high beams, lane keep assist, and an electronic parking brake—all for a mere $650. 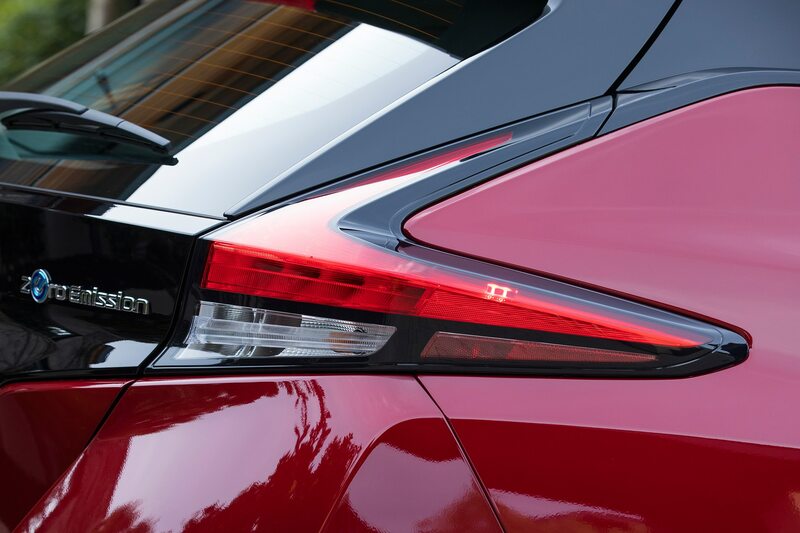 The highlight of that combo is the well-programmed adaptive cruise control function within ProPilot Assist. 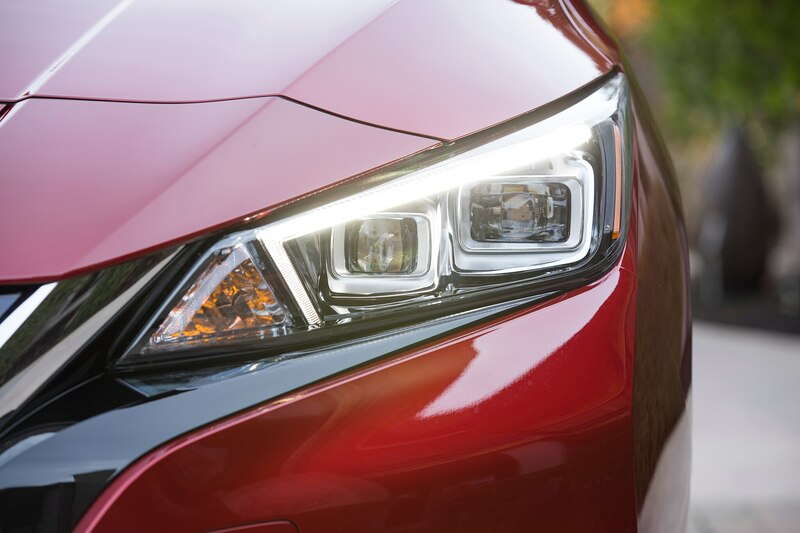 It stays engaged even during stop-and-go driving and does a good job of maintaining a reasonable following distance. 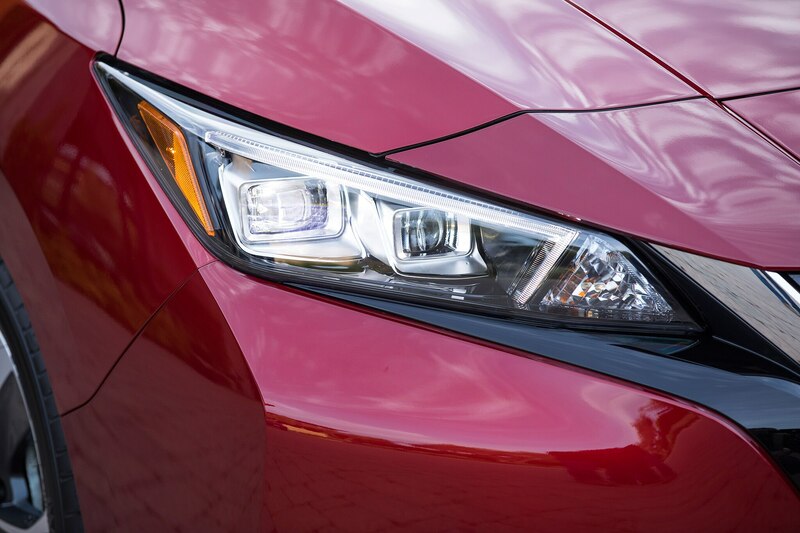 Like all such systems, however, it can be tripped up by suddenly slowing traffic, so keep your eyes on the road instead of your smartphone; I like to keep my right foot hovering over the brake pedal when using an adaptive cruise control system, too. 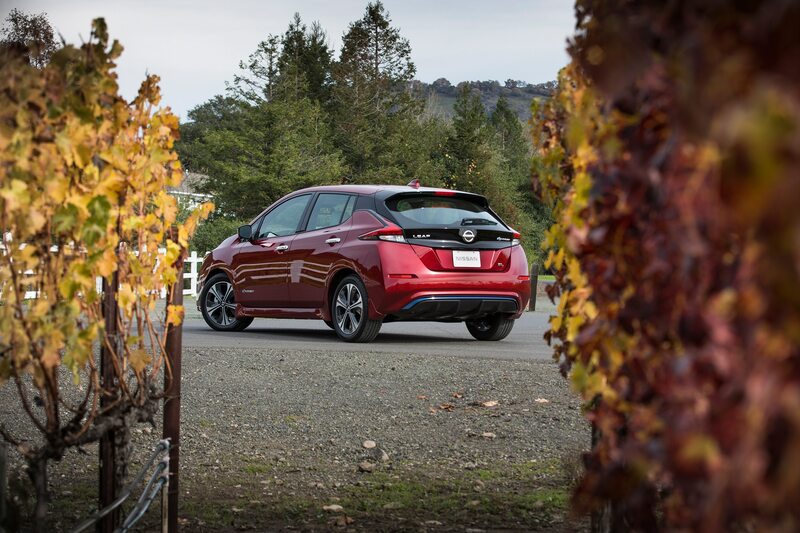 When you press your left foot on the go pedal, the 2018 Leaf’s 150-mile range is a considerable improvement over the first-generation model’s 107-mile mark, but it’s still somewhat lacking. 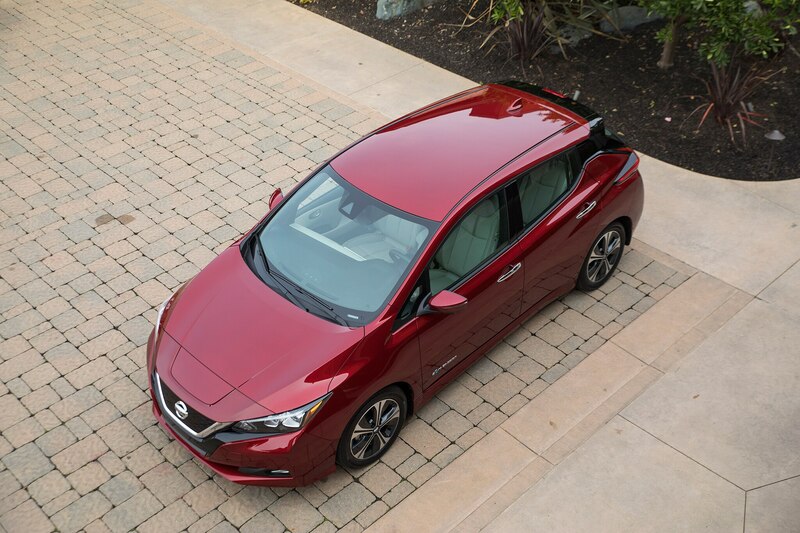 With a combined EPA rating of 32 mpg, that Sentra, by comparison, will go about 422 miles on one complete 13.2-gallon tank. 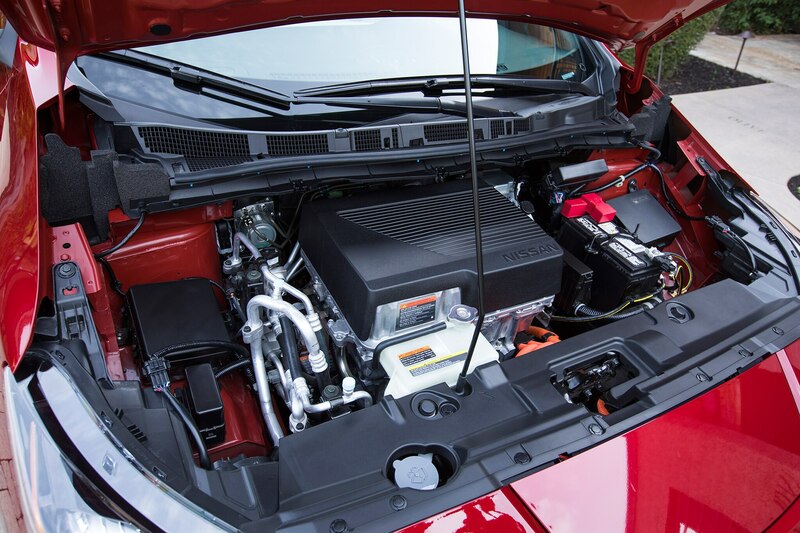 And it can be refueled in about five minutes versus 7.5 hours for the Leaf on a 220-volt connection. 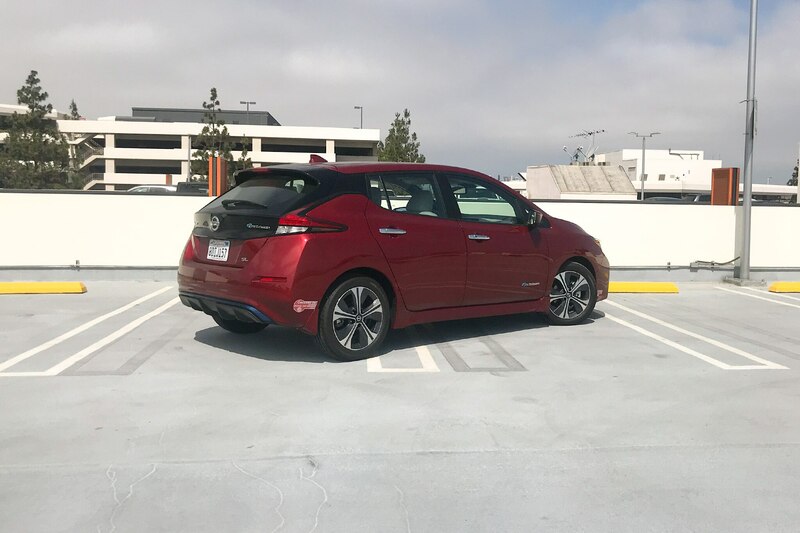 Charging at a DC fast charger will get you to about 120 miles (80 percent of charge) in 40 minutes, but that’s still a significantly longer amount of time. 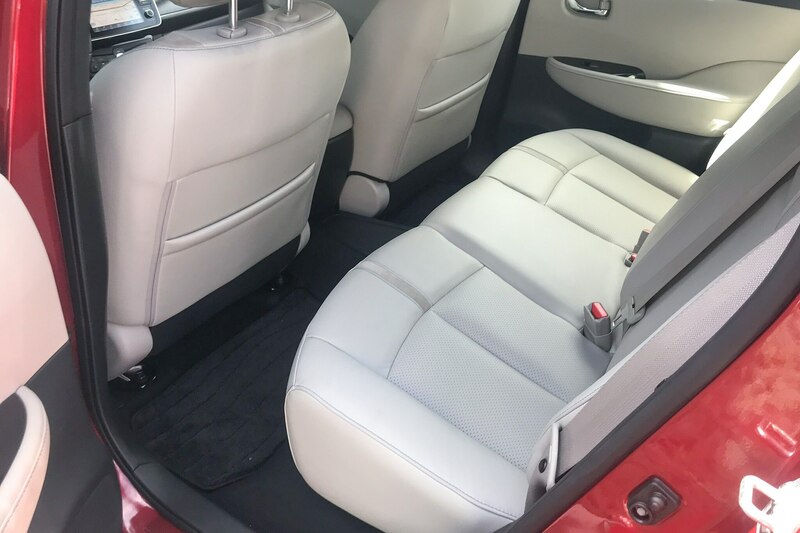 While fine for those who don’t venture far from home, it can be a logistical challenge for those who like to wander further away. 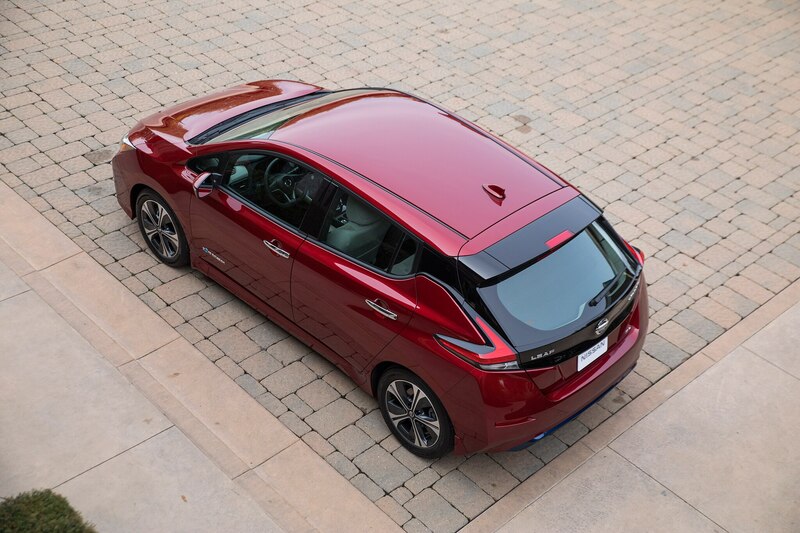 The range handicap makes it harder for the top-end Leaf SL specifically (our tester was $38,510 all in) as the 238-mile Chevrolet Bolt LT starts at $37,495, albeit without leather or the active safety systems. 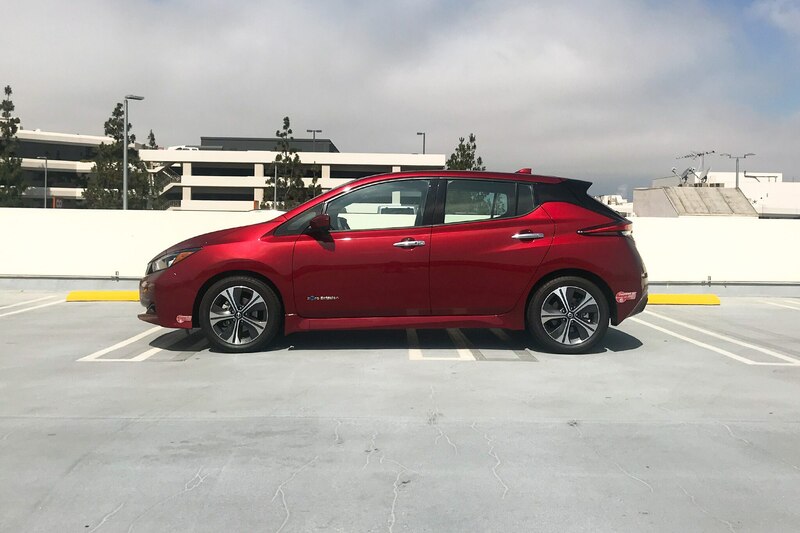 Instead, if you’re looking for a commuter that also happens to be electric (those carpool stickers are great to have if you live in California) consider the mid-range Leaf SV with the Technology package. 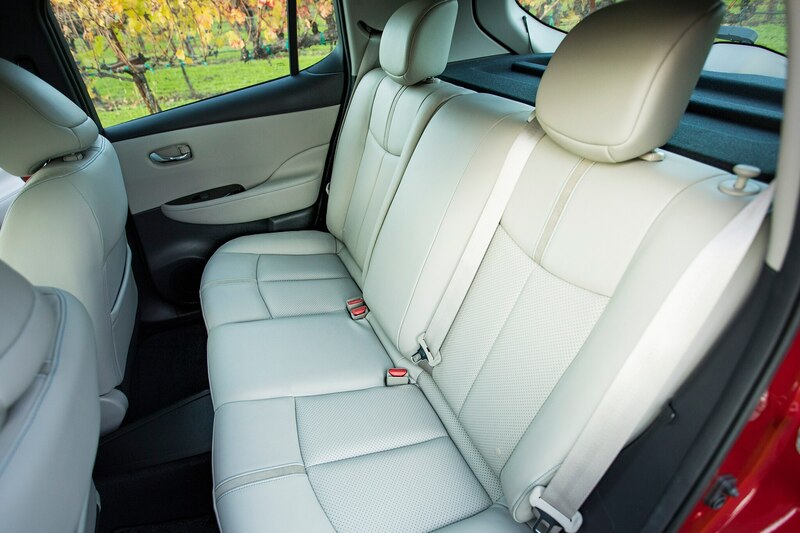 It stickers at $35,575 and the main sacrifice you make is trading leather upholstery for cloth. 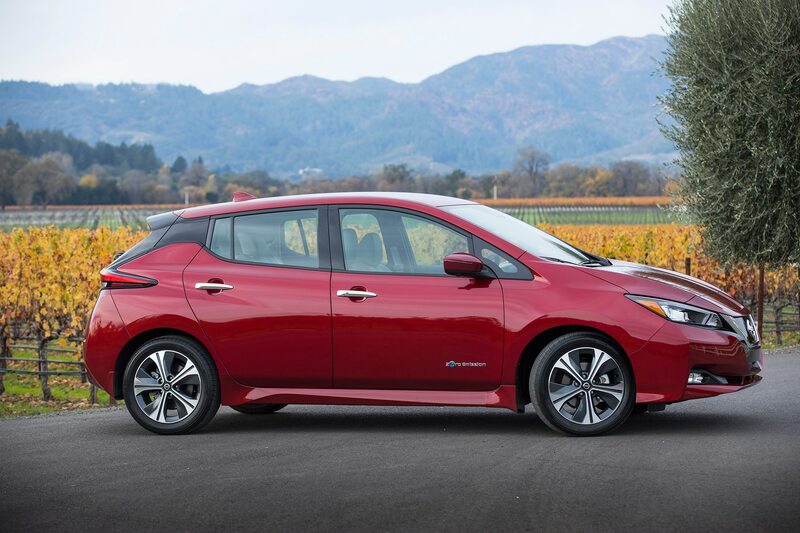 You’ll get all of the upsides of the 2018 Nissan Leaf without as much of existential angst of wondering if you should have gotten the Bolt instead. 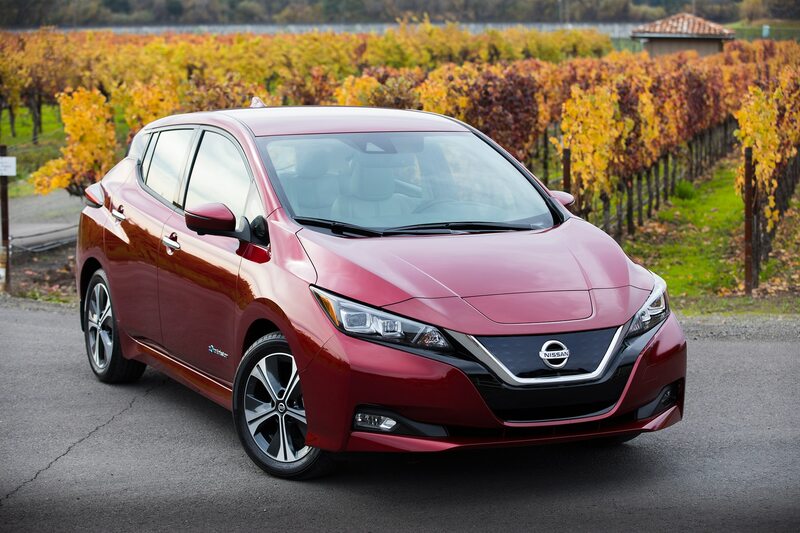 Or just skip the fancy stuff entirely and get the base-model Leaf, it’s a much better basic commuter than a near-premium hatch.